“Whatever your goals are, whatever your passion is, you follow it. You let your mind lead and let your body follow. 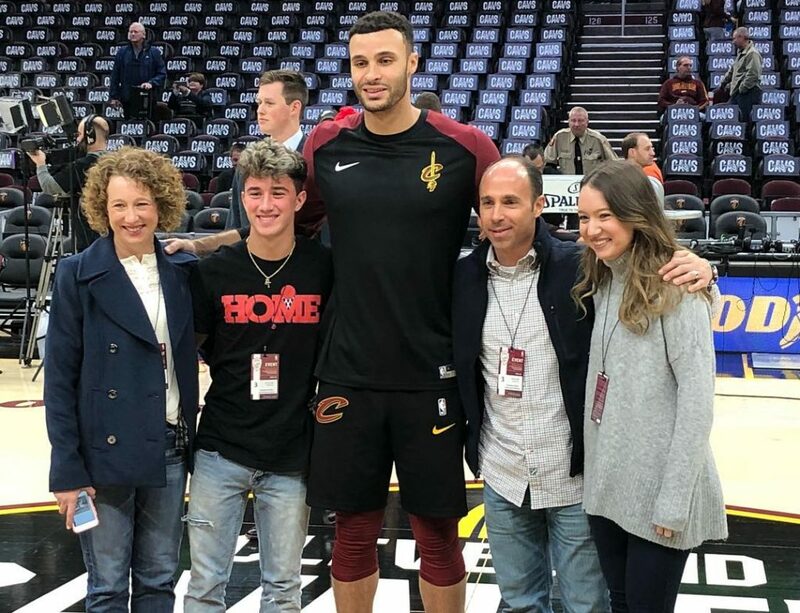 Don’t let Crohn’s hold you back.” – Larry Nance, Jr.
Larry’s Leaders is officially under way for the 2018-2019 NBA season. 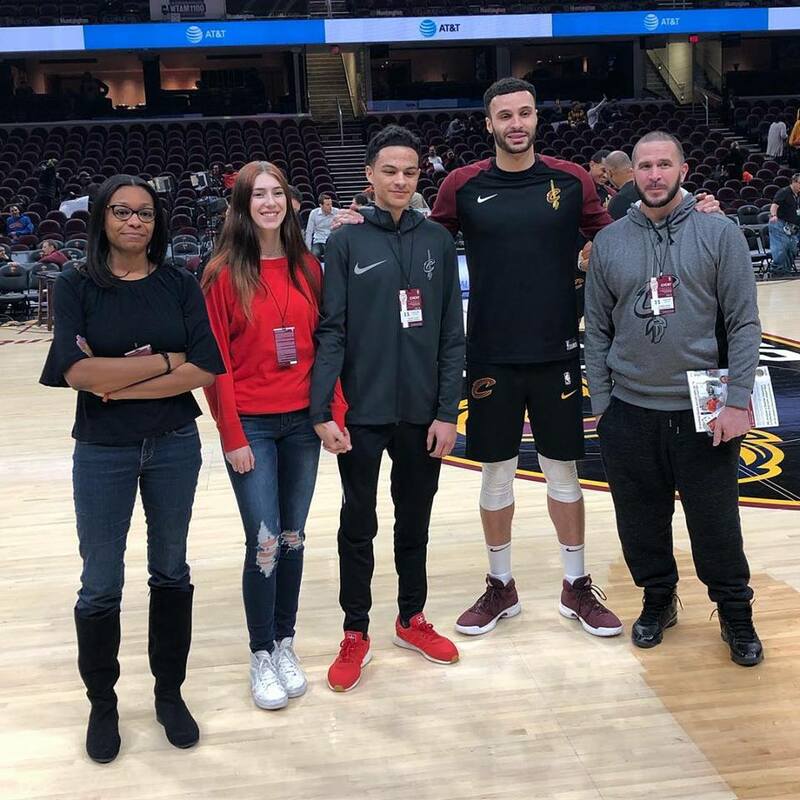 On October 27th, 2018, we kicked off our “Larry’s Leaders” program, in partnership with the Cavs and Cleveland Clinic, in which we will host 10 pediatric IBD patients for a night out at The Q! 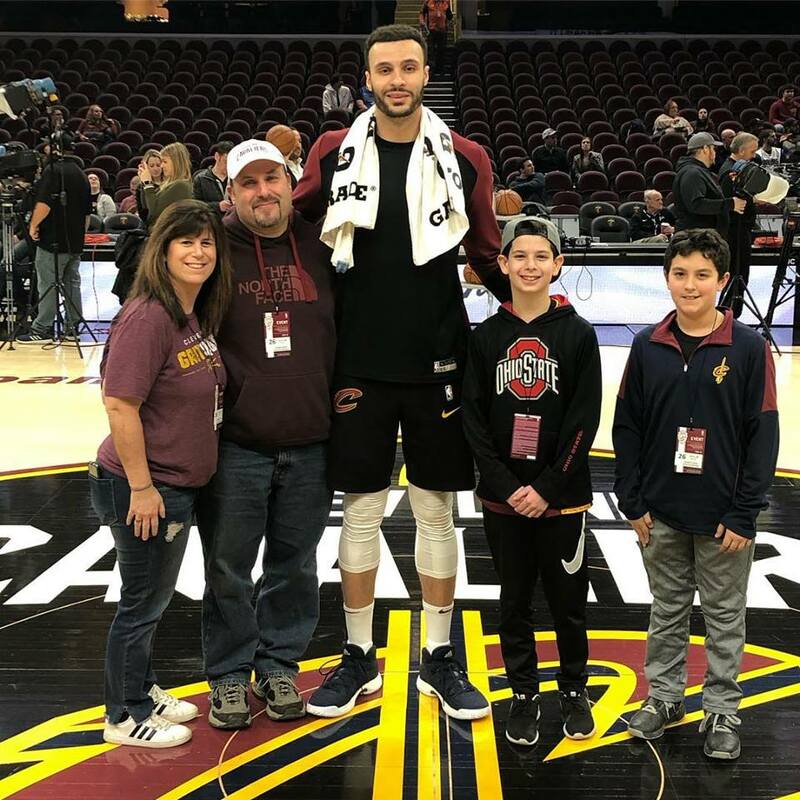 The experience includes the opportunity to watch Larry shoot around from the court, a meet & greet with Larry, and game tix for the patient and their family. Our very first Leader is Michael, a stand out football player from Youngstown battling Crohn’s disease! 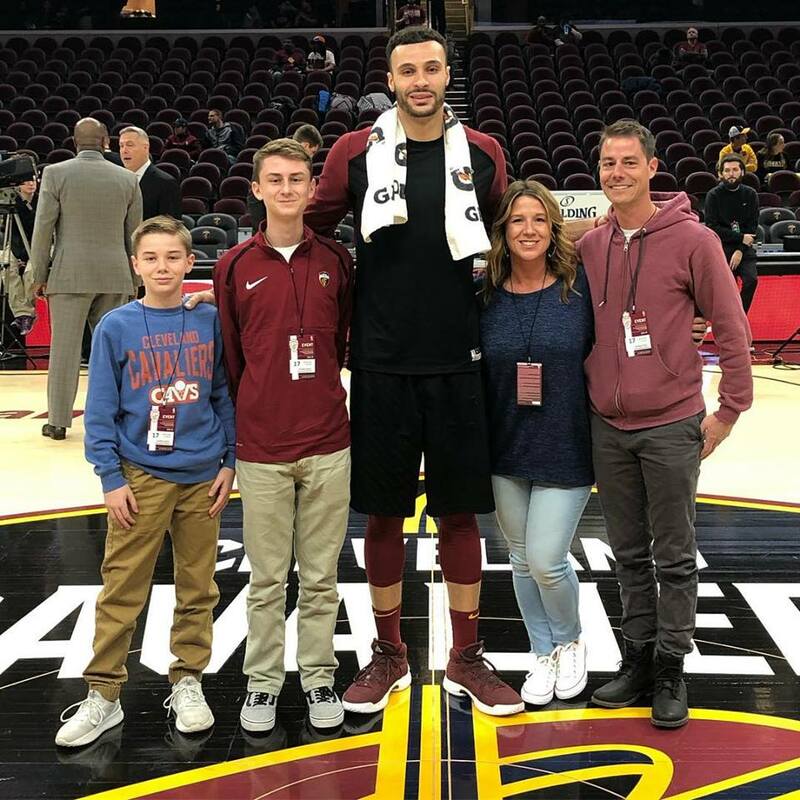 We had a blast spending time with Michael and his family, and were inspired by his positive attitude and ability to not let IBD hold him back. 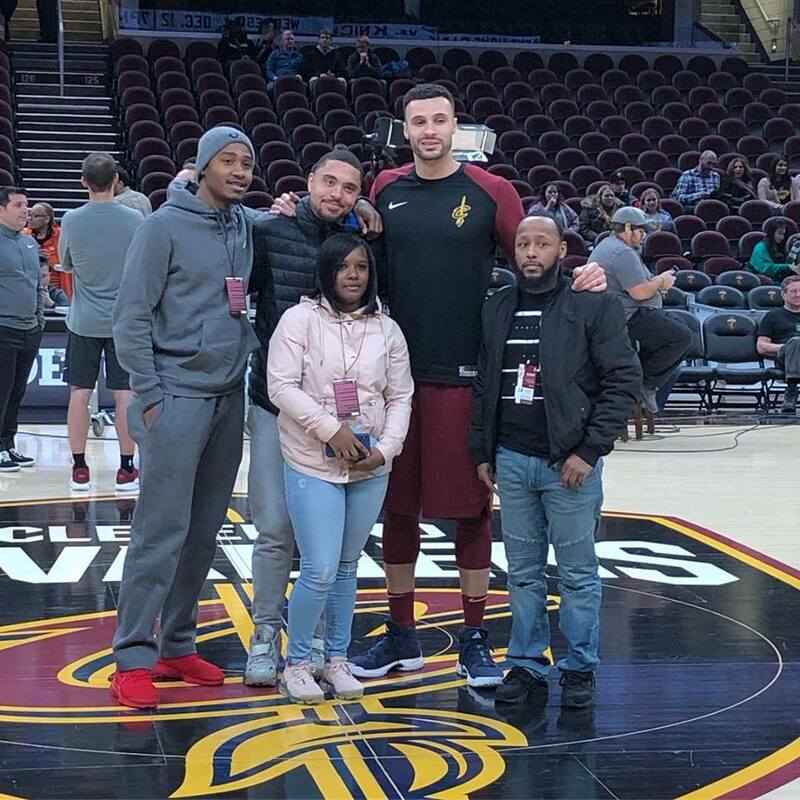 For our second “Larry’s Leaders” program this season we hosted Jamir and his family. 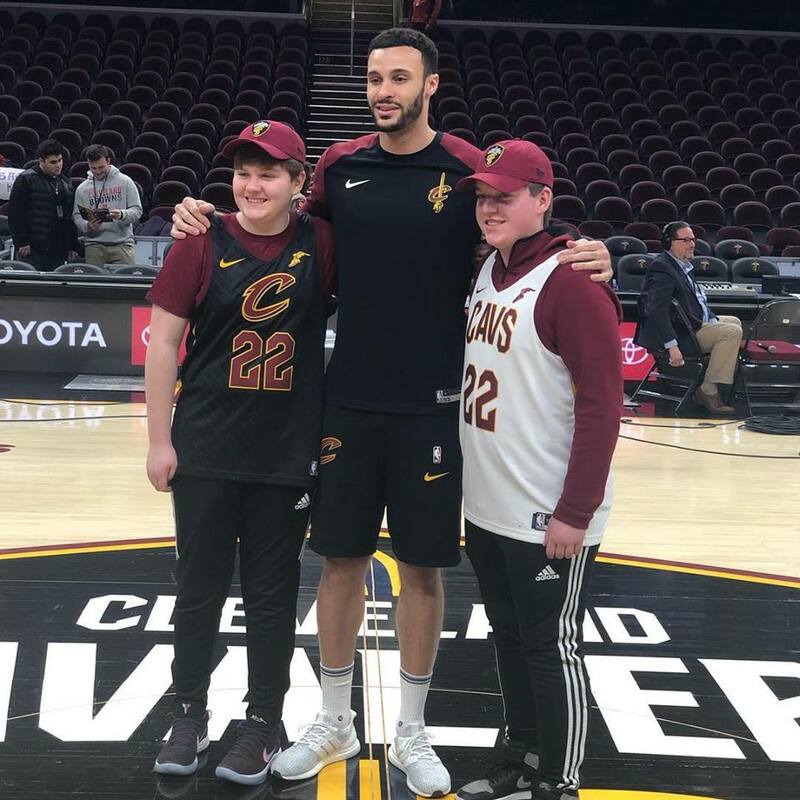 Jamir is 19 and was diagnosed with Crohn’s at the Cleveland Clinic 2 years ago. He loves basketball and football! 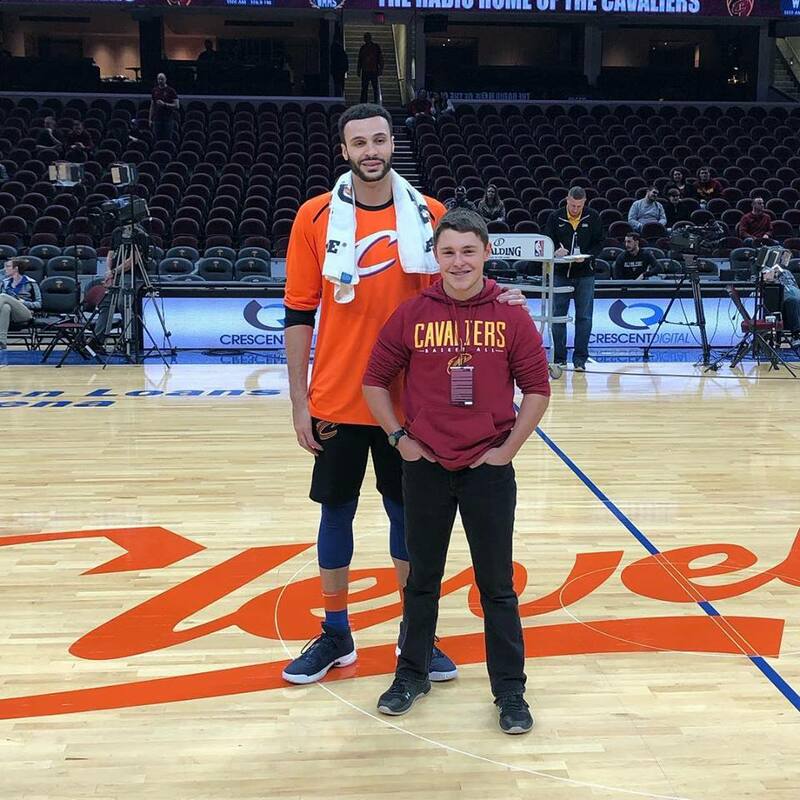 We were happy to meet Evan and Connor, brothers who are both battling Crohn’s disease and refusing to let chronic illness hold them back! Connor is a swimmer at Mount Union 🏊‍♂️ and Evan is a highly recruited track star ⭐️ at Solon High School. 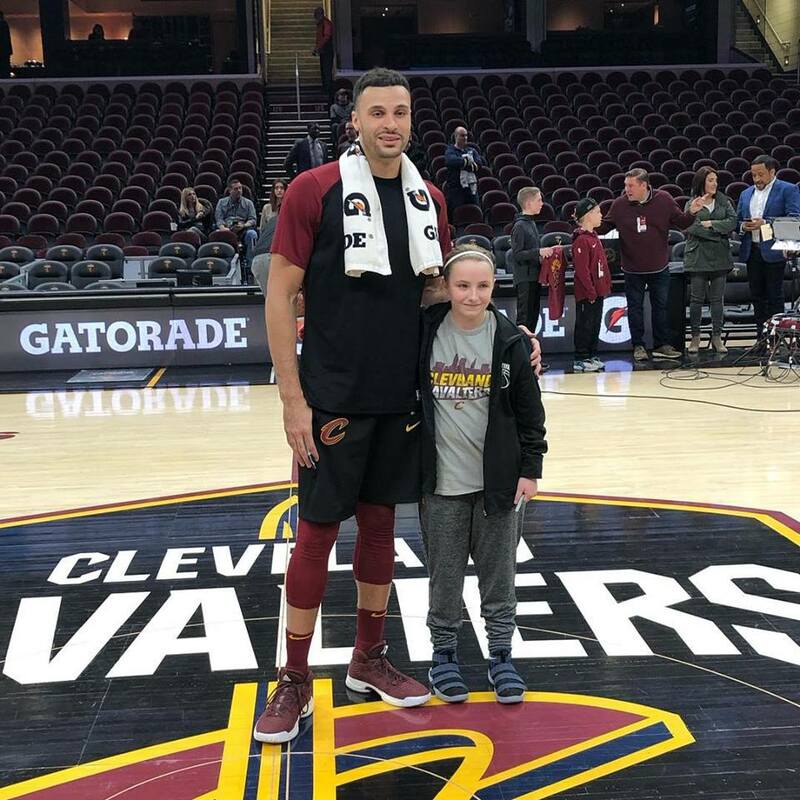 These 2 have bonded over their diagnosis’ and are awesome role models for other athletes facing IBD! 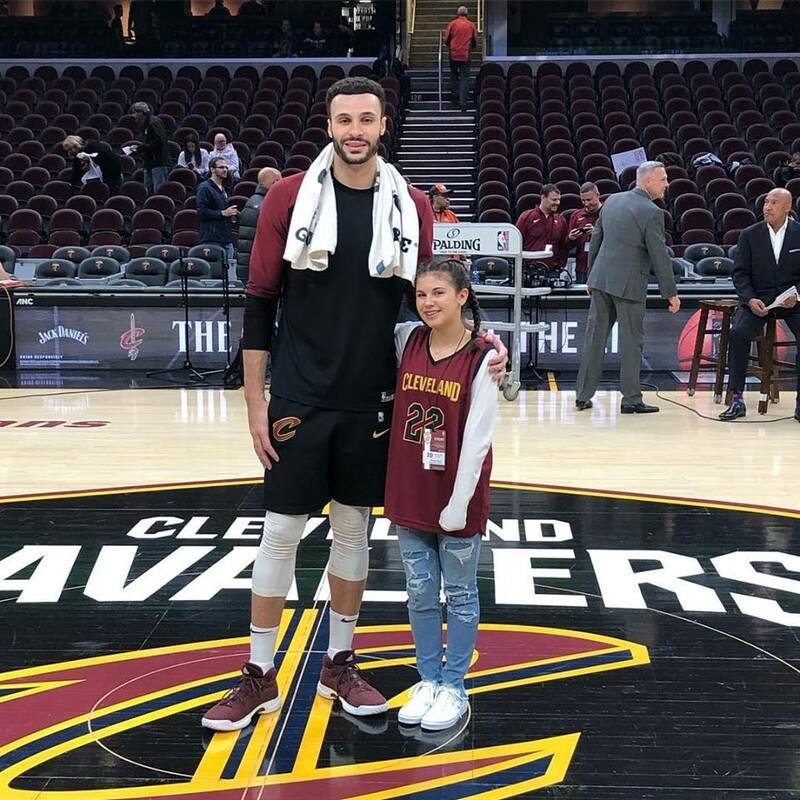 We had the pleasure of meeting Alyssa who is in 8th grade and from Chagrin Falls. Alyssa is active in dance, including tap, jazz, and hip hop – and follows the SCD Diet in order to maintain a happy and healthy lifestyle! Crohn’s stop him from achieving his goals! 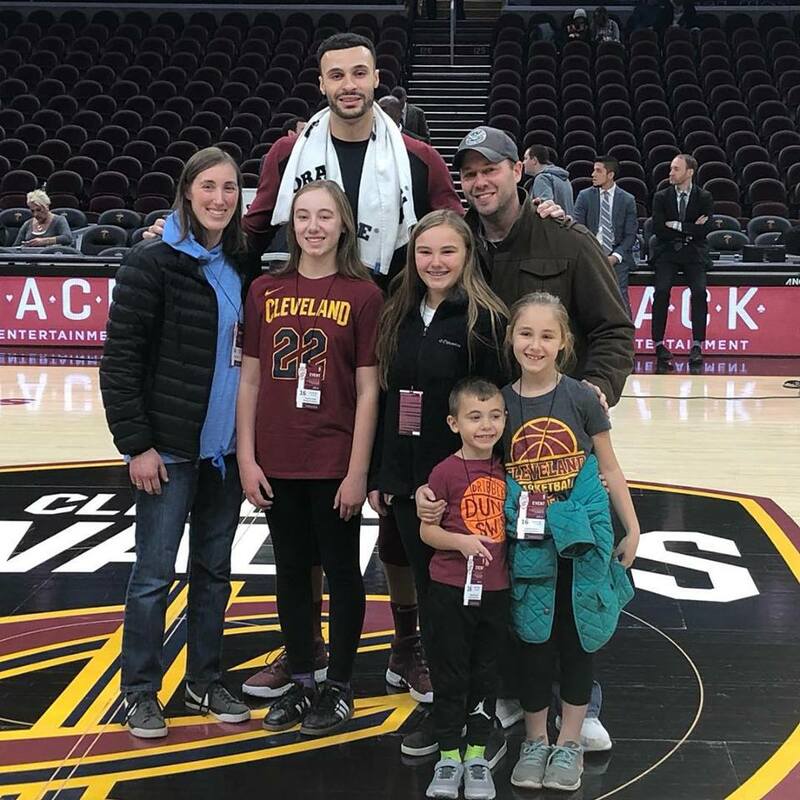 We were excited to host Jake and his family as a part of our “Larry’s Leaders” program with the @cavs and @clevelandclinic! Jake is in 6th grade and was diagnosed with Colitis at age 8. 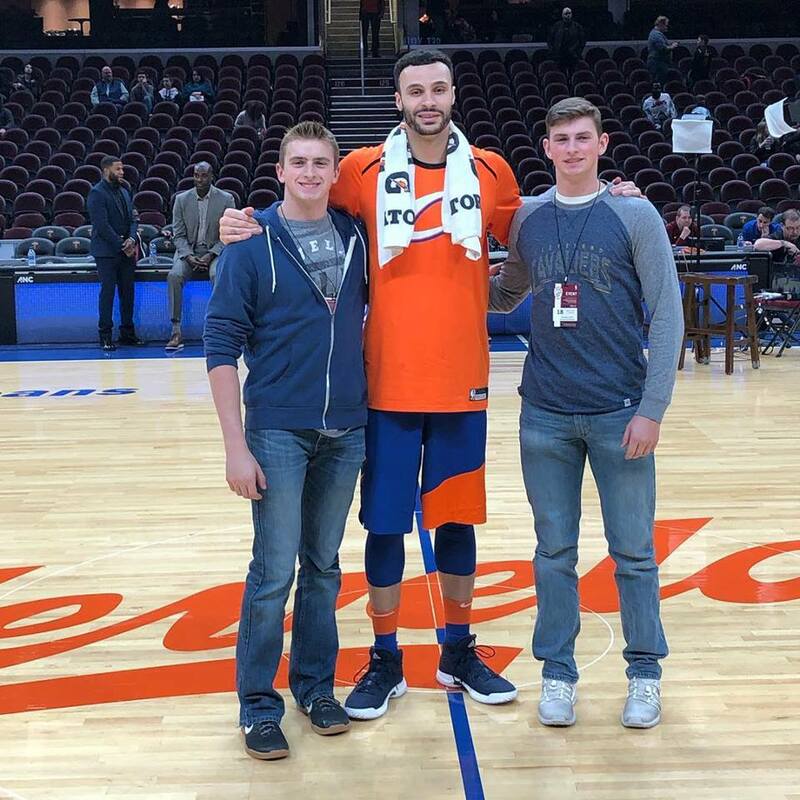 Active in basketball and baseball, Jake also does very well in school and refuses to let IBD hamper his positive spirit!